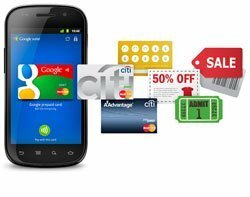 Consumers will be making up to 195 billion mobile payments each year by 2019, according to a report from Juniper Research. The firm predicts purchases on tablets and mobiles will increase steadily over the next few years, after 72 billion mobile transactions were made in 2014. The largest area of growth is predicted to be in the digital goods sector due to a rise in in-app purchases. This trend is expected to provide the opportunity for mobile carriers to claim cash from those in areas not usually reached, such as people who do not usually use cards online. The report's author, Dr Windsor Holden, said businesses that have deployed carrier billing systems have already seen positive results across a range of indicators, including higher conversion rates, higher average transaction values and higher transaction volumes. “For the first time, they can monetise consumers who would otherwise have been excluded, either because they lacked a credit card or because they were unwilling to enter card details online," he said. Near-field communication (NFC) transactions and host card emulation capabilities are expected to cause an increase in transactions, after the introduction of services such as Apple Pay normalises the use of alternative payments technology. Currently, however, NFC is not widely used or recognised. According to mobile software firm Netbiscuits, 69% of UK consumers have not heard of the technology. It’s not the first time mobile commerce has been pegged as being on the rise, with mobile shopping seeing a 356% year-on-year growth in 2012. The increase of mobile networks, such as 4G and – over the next five years – 5G, has boosted mobile commerce as people are able to make purchases on their device from any location. Contactless payments have followed the same trend, increasing by 189% since May 2013, according to Visa Europe. However, research by Capgemini and the Royal Bank of Scotland revealed this increase in alternative payments could lead to issues as back-end processing and data management will suffer if firms fail to keep up with the market.